TRADIOHEAD, THE Galway band who take the music of Radiohead and reimagine it as Irish trad and folk, are in concert tomorrow night. 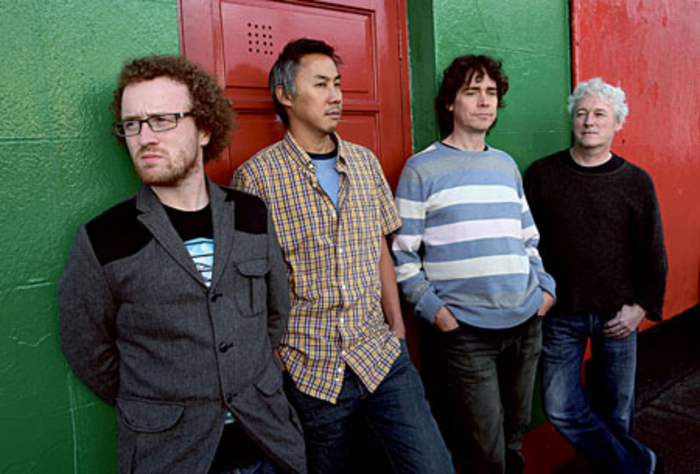 The band - Jimi McDonnell (vocals ), Philip Fogarty (accordion/bodhrán ), Pat Hargan (guitar ), and Michael Chang (violin, viola, mandolin ) - play Kelly’s, Bridge Street, at 9.30pm. Tradiohead were recently invited to perform live on Tom Dunnes's radio programme, and will be playing in the Body And Soul area at this year's Electric Picnic, followed by a gig on Culture Night in Belfast. They are embarking on a British tour in the autumn, bringing the music of Radiohead back to where it all began, but with a definite Irish twist. Support is from My Fellow Sponges’ Donal McConnon. For more information contact 091 - 563804 or email [email protected].